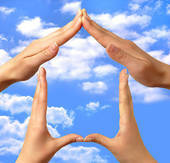 If you are a home buyer, and especially if you are a first time home-buyer, it can sometimes seem overwhelming. However, there are a few tips for first time home buyers that can help isolate the really basic steps in buying a home. One of the first things you should do if you are planning on buying a house is consider whether or not you should hire an agent. Hiring an agent can be a great idea, as it can save you a significant amount of time. An agent can send you MLS listings that match your home-buying criteria directly, saving you from potentially wasting your time at a series of dissatisfying open houses. Agents can also let you know if a listing is overpriced, because they are significantly more experienced. It’s a great idea, especially if you are a new or first time home buyer, to let someone who is more experienced be your guide in the process. The next step is rather obvious. You want to find a home to buy. It’s a good idea to avoid looking at too many homes all at once, because everything will start to blend together. Many people use online tools to really help with their search. If you are looking for a home in San Diego, OpenOffer.com should be your first step. Once you have found a home, you will need to get your loan. It’s a good idea to actually do this step ahead of time and get loan preapproval in advance. This way, you have a good idea for how much home you can really afford. One important thing to note about negotiating price is not to compare list prices. Sellers can ask any price they want; it does not mean the home will sell at that price. What you should look at is what comparable homes in the neighborhood actually sold at. Lastly, do not forget to do a home inspection after you have an accepted offer and escrow opened.